Los Caminantes are a Mexican Grupera band hailing from San Francisco del RincÃ³n, Guanajuato led by singer-songwriter AgustÃ­n RamÃ­rez. 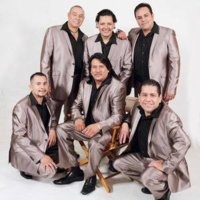 Originally named Los Caminantes Aztecas, the group was formed by brothers AgustÃ­n, BrÃ­gido, Horacio, MartÃ­n and along with Humberto "Pecas" Navarro in the mid 1970s. They released Supe Perder in 1983 on Luna Records. Included hits, "Supe Perder," "Para Que Quieres Volver" and "Dime Si Me Quieres." Throughout the mid '80s to mid '90s, the band had a number of Billboard chart hit albums such as 1986's De Guanajuato...Para America! with hit song, "Amor Sin Palabras" ("Love Without Words"). Then tragedy occurred when younger brother MartÃ­n was killed in a bus accident and in the same year a tribute album, 1987's Gracias Martin, was dedicated to him. They earned a movie, 1989's Caminantes...Si Hay Caminos. Caminantes are also known for their playing of variety Regional Mexican styles, e.g., Ranchera, Corrido, Balada, Cumbia, Banda and Mariachi. They have recorded over 30 albums throughout their career span and had numerous song collaborations with high profile Regional Mexican acts (Diana Reyes, Patrulla 81, Polo UrÃ­as y su Maquina NorteÃ±a, Banda Pachuco, etc.). To this day, AgustÃ­n is the remaining original member of Los Caminantes after the departure of Horacio and the passings of MartÃ­n, BrÃ­gido and Humberto. The band continues to record and tour throughout the United States, Mexico, and Central America.